Community is a key word in the current UK political vocabulary. As part of Big Society or as a sustainable means to develop social coherence, community has been an area of focus that has attained UK political party interest since 2003. In 1999, the Imagine method was first hinted at in the Earthscan book: “Sustainability Indicators: measuring the immeasurable”. The approach allows citizens to learn about and self-evaluate their own sustainability by developing their own sustainability indicators in a manner which is participatory and evidence based. Communities could make use of the approach, not in an attempt to arrive at some “absolute” value of sustainability but in striving to achieve a self-knowing sense of how sustainable they are, by their own measured indicators, and to use this evaluation in discourse with other agencies such as local and national government. The tone of Imagine is to empower citizens to own their own sustainability and to plan for sustainable futures. The method, developed for spatial and temporal sustainability assessment, has been trialled by countries in the Mediterranean region within Coastal Area Management Programmes (CAMPs). Building off this engagement with geographically and culturally diverse communities, the method has been supported by the Homes and Communities Agency (HCA) in the UK and developed into a teaching module that has been subsequently tested at undergraduate, postgraduate, continuing professional development (CPD), Virtual Learning Environment (VLE) and working with practitioners, as a hands-on Masterclass. The resulting course Creating Sustainable Communities (CSC) has now been introduced to 20 UK universities and has seen use by seven of them. This paper tracks the development of the Imagine method, explores its major elements and sets out the learning impacts it has had to date. Bell, S. 2011. From Sustainable Community to Big Society: 10 years learning with the Imagine approach. 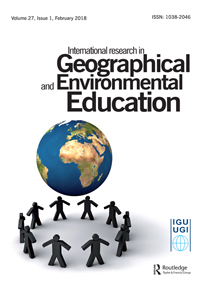 International Research in Geographical and Environmental Education. 20, 3, pp 247 – 267.